Above is the 1955 film footage of lava flows in Puna on the Big Island of Hawai‘i. 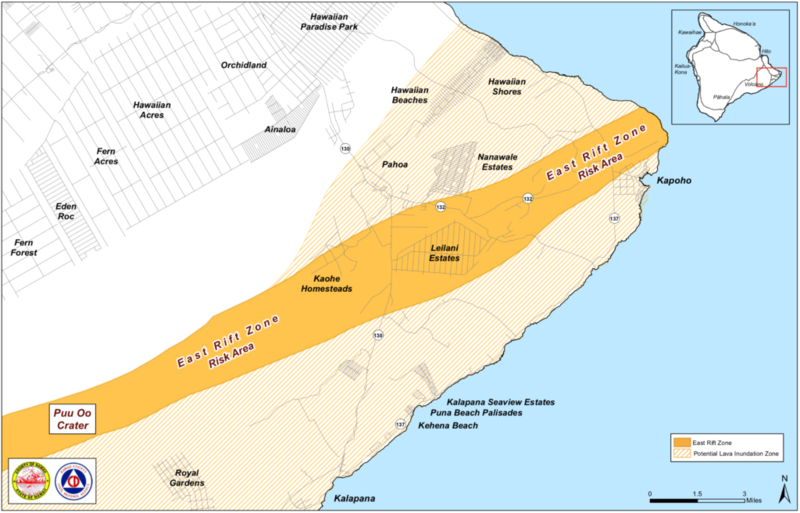 The eruption originated along Kīlauea’s East Rift Zone, and lava covered many roads, homes, and sugar cane fields, eventually reaching the ocean. VC: Center for the Study of Active Volcanos and the Lyman Museum. 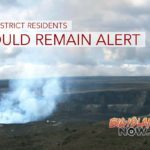 State, federal and Hawai‘i County agencies are preparing for a possible eruption amid continuous earthquakes along the East Rift Zone of Kīlauea Volcano. Preparations include the identification of shelters, mobilization of police and other security personnel to ensure residents’ safety, and road crews to ensure access to evacuation routes. Residents in the lower Puna area should keep informed about the situation and be prepared to evacuate. 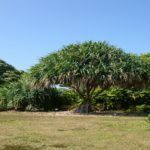 According to a Civil Defense briefing early Tuesday, a magma dike, or pathway of rising magma, is making its way down to the lower Puna area past Highway 130. An eruption may take place anywhere from Puʻu ʻŌʻō to beyond Kapoho to the east. 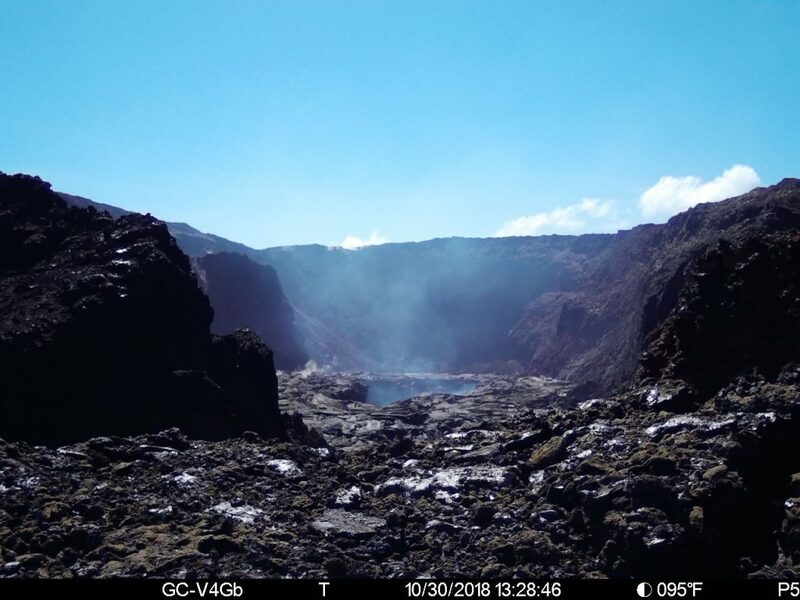 Swarms of earthquakes, of eight to 10 tremors per hour, are being felt in the area, which could precede an eruption, said USGS Hawaiian Volcano Observatory research geophysicist Jim Kauahikaua. 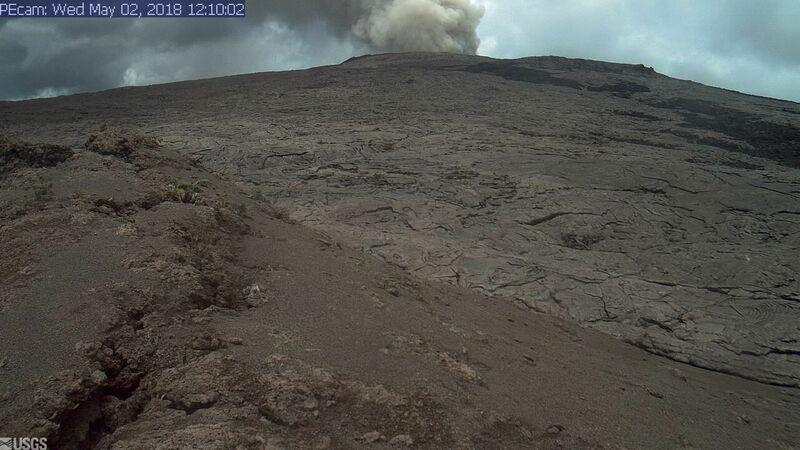 During that eruption, which started in February 1955, at least 24 separate volcanic vents opened up and down the volcano’s East Rift Zone, with lava flows covering about 3,900 acres of land. Coastal communities from Kalapana to Kapoho were evacuated, and sections of every public road to the coastline were buried by lava before the eruption abruptly ended on May 26, 1955. Residents of lower Puna to remain alert and watch for further information about the status of the volcano at www.hawaiicounty.gov/active-alerts, Blackboard alerts on their phones or email, and stay tuned to their local radio stations for updates. USGS Volcano Notification Service. Sign for this free service at http://volcanoes.usgs.gov/vns/.